Bilingual and urban, we leveraged film-style marketing across all media. 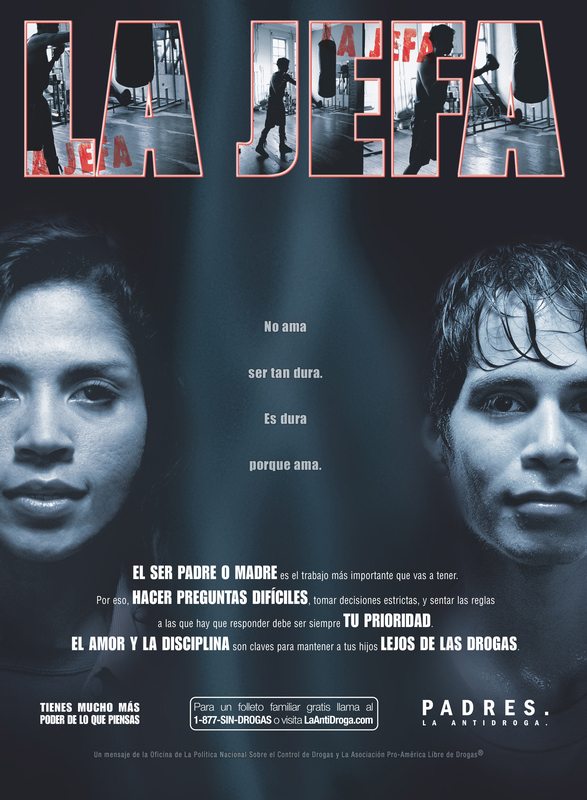 "La Jefa" for PDFA. She's tough because she loves. Spanish version. "The Boss" for PDFA. She's tough because she loves. English version. "El Preguntón" for PDFA. He doesn't settle for just any answer. Spanish version. "Mr. Questions" for PDFA. He doesn't settle for just any answer. English version. 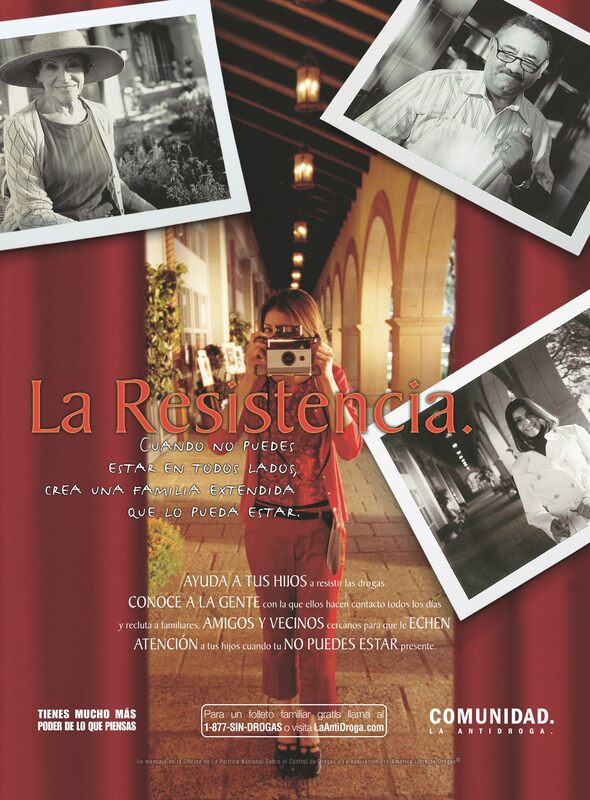 "La Resistencia" for PDFA. They're an extended family that fends off drugs. Spanish version. "The Resistance" for PDFA. They're an extended family that fends off drugs. English version. "The Boss" for PDFA. Out-of-home. "The Boss" for PDFA. Poster and magazine ad. "Mr. Questions" for PDFA. Out-of-home. "Mr. Questions" for PDFA. Poster and magazine ad. "The Resistance" for PDFA. Poster and magazine ad.